What a privilege to see God’s great works among us. 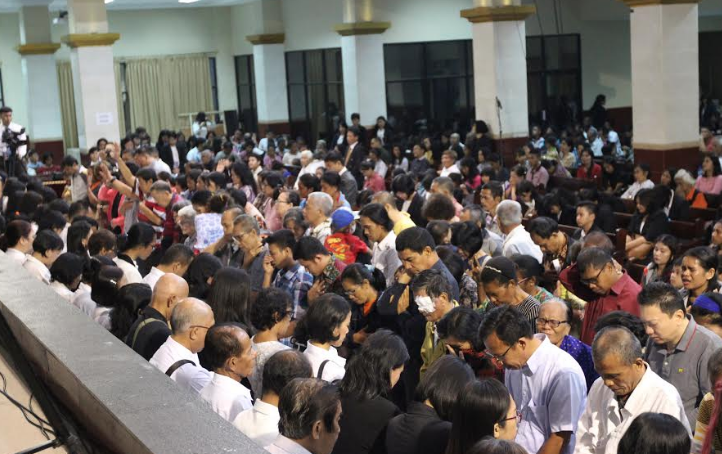 God visited His people again in KPPI (Praise and Divine Healing Service) on Thursday, 28 June 2018, at the Auditorium of Adventist Church, Jl. MT Haryono, Kav 4-5, Tebet, Pancoran, South Jakarta. All had come from various places in Jakarta, Depok and Tangerang. This service was aired as a live streaming program through Facebook and YouTube. Even they were gathering in groups to watch the program at their home, such as in Kaimana, Bali, Kupang, Sumba Timur, Kalimantan Tengah, Tahuna, Pati, Jepara dan Yogyakarta. Rev. 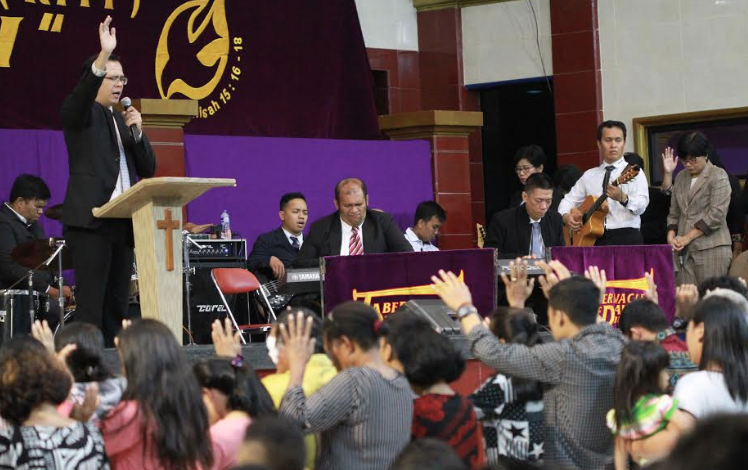 Petrus Bayu led the congregation to praise and worship the Lord together. Even though many had come with problems and burdens, but if God was present, there would be nothing impossible with God. There was time to read the verses loudly, as Rev. Michicho Sihite led the congregation to read Lamentations 3:21-25 (NKJV) This I recall to my mind, Therefore I have hope. Through the Lord’s mercies we are not consumed, Because His compassions fail not. They are new every morning; Great is Your faithfulness. “The Lord is my portion,” says my soul, “Therefore I hope in Him!” The Lord is good to those who wait for Him, To the soul who seeks Him. There were two healing testimonial films were presented. 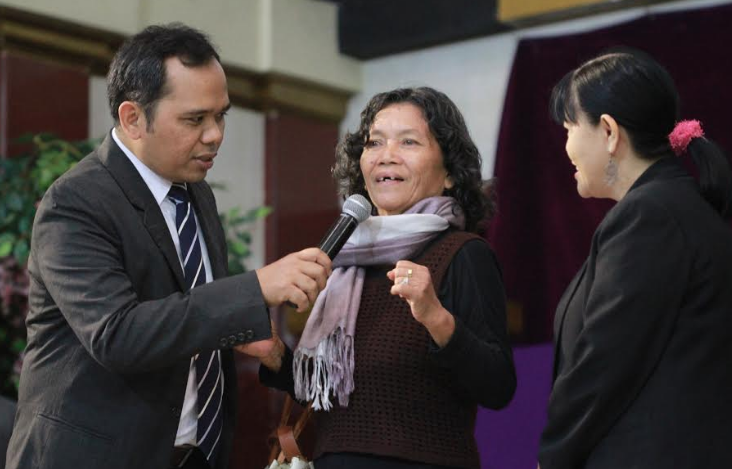 The first healing testimony was about a lady in Papua who was healed from yearly severe back pain. The second film was about a healing miracle that happened to a lady who was healed from blurry sight. Jesus told His disciples to cross the lake by the boat. Things looked good at first, but suddenly there was a storm. This is the same as our life. At first, we started everything well, in our journey of faith, our family, our ministry, but suddenly unexpected things happened, diseases came up, problems of life came up. The disciples were very frightened when the storm came as the water filling the boat and it would sink. It was very horrible. The problems looked very big and seemed to be no hope anymore. Actually, the disciples were not ordinary people. They were already with Jesus quite long and had just seen the miracles Jesus did. But as the storm came they became frightened. They didn’t realize that they wouldn’t perish as long as Jesus was inside the boat. They lost their common sense. They lost their hope and faith. It is the same for us. We seemed to lose our hope even though we already know God. Jesus didn’t wake up being frightened and worried. But He woke up and rebuked the storm. He knew that He could do it but He needed to see their faith. It is the same with us. When we have problems, where is our faith? God tries to say that He is with us, isn’t that right? This Word of God shows two kinds of groups. The first group is they who already believe Jesus, but when problems come they think God is not able to help them. As a believer, we must know and trust Him more every day. The second group is they who haven’t invited Jesus into their boats of life. When they are leading their lives asand the storm comes, they won’t be able to do it because they are tightly bound with sins. So what must we do? We have to invite Jesus into our boat of life. Rev. Joseph Batubara gave a call for everyone to invite Jesus to come into his life. Rev. Yohanes Nugroho continued to preach the healing sermon. Who is the Lord Jesus Christ? He is the Creator of the heaven, the earth, and human beings. He is a powerful God. But He came down to earth and was crucified because of our sins. Why? Because He loves us all. When we were in great despair, He cares for every one of us. He has borne our sins and suffering. He has the power to make all our sins disappear. There was a story of two blind men who kept on crying out loudly asking for the mercies of the Lord. Jesus couldn’t stand still, He heard the crying of His people. His heart was moved by compassion and He healed them. Whatever our sickness is, He is able to heal us. His compassion never changes. The healing prayer was conducted by Rev. Yohanes Nugroho and Rev. Hisar Manurung. The sick people were called forward to be prayed. The Lord Jesus answered their prayers. Many were healed from their sicknesses. 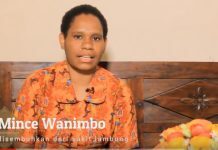 But healing also took place to them who watched the live streaming program in Luwuk, Sulawesi, Yogyakarta, Southeast Maluku, even in Malaysia. Rev. Richard Nadapdap, Rev. Fairy Gultom, and Rev. Ferdinand Rafles interviewed them who got healed from gastritis for 3 years, waist pain for 7 months caused by an accident, numb left hand for 1 month, being headache for 20 years caused by an accident, waist and stomach problem, breathless, the right leg was unable to walk, leaking heart, leaking kidney and many more. How great are the works of the Lord in KPPI. Rev. Yohanes Handi gave an altar call to anybody who wants to serve the Lord and prayed for them who came forward. The service ended with a message that everyone should return back to his own local church and actively serve the Lord there. 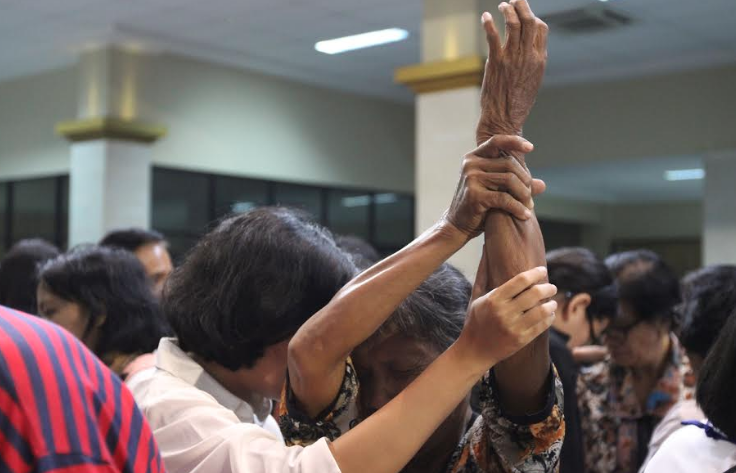 KPPI (Praise and Divine Healing Service) is an interdenominational ministry that has been held by GPPI Pondok Daud Jakarta since 1993.